How to Invest in Hybrid Funds Online? Hybrid Funds are a type of Mutual Funds that act as a combination of equity and Debt fund. Hybrid Mutual Funds allow an investor to invest in both equity and debt markets in certain proportions. The proportion of Mutual Fund investment in these funds is either pre-determined or may vary over a period of time. Hybrid Funds are one of the Best Investment Plan as they not only allow investors to enjoy capital growth but also get fixed income at regular intervals. Typically, hybrid fund returns are diversified Mutual Funds as a certain proportion of these funds is invested in the impulsive equity markets. However, the risk factor is much higher in a balanced fund (a type of hybrid funds) than Monthly Income Plan (another type of hybrid funds). On 6th October 2017, Securities of Exchange Board of India (SEBI) introduced six categories of Hybrid Funds. It has also re-categorised equity and debt funds. This is to bring uniformity in similar schemes launched by the different Mutual Funds. This is to aim and ensure that investors can find it easier to compare the products and evaluate the different options available before Investing in a scheme. SEBI intends to make Mutual Fund investment easier for the investors, so that they could invest according to their needs, Financial goals and risk ability. This scheme will majorly invested in debt instruments. About 75 to 90 percent of their total assets will be invest in debt instruments and about 10 to 25 percent in equity-related instruments. This scheme is named as conservative because it is for people who are risk-averse. Investors who don't want to take much risk in their investment can prefer investing in this scheme. This fund will invest around 40-60 percent of its total assets in both debt and equity instruments. The beneficial factor of a balanced fund is that they provide equity comparable returns with a lower risk factor. Aggressive Hybrid Fund- This fund will invest around 65 to 85 percent of its total assets in equity-related instruments and about 20 to 35 percent of their assets in debt instruments. 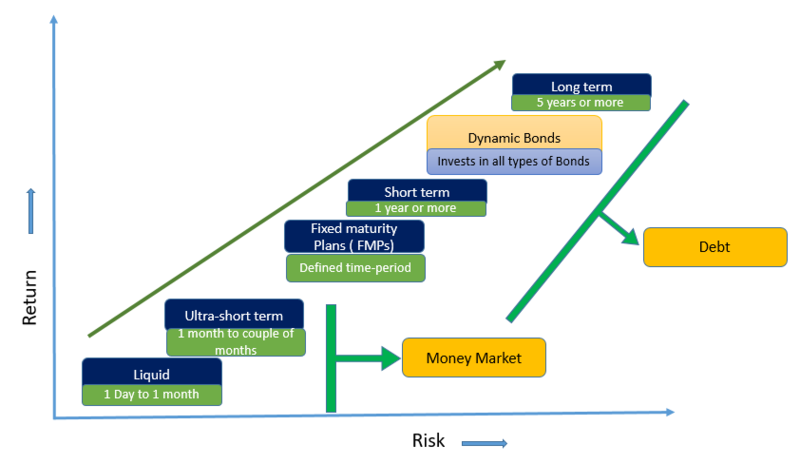 Mutual Fund Houses can offer either a balanced hybrid or an aggressive hybrid fund, not both. This scheme would dynamically manage their investments in equity and debt instruments. These funds tend to increase the allocation to debt and reduce the weightage to equities when the market becomes costly. Also, these funds focus on providing stability at a low-risk. This scheme can invest in three asset classes, which means that they can invest in an extra asset class apart from equity and debt. The fund should invest at least 10 percent in each of the asset classes. Foreign securities will not be treated as a separate asset class. This fund will follow the arbitrage strategy and will invest at least 65 percent of its assets in equity-related instruments. Arbitrage funds are Mutual Funds that leverage the differential price between the cash market and derivative market to generate mutual fund returns. The returns generated by arbitrage funds are dependent on the volatility of the stock market. Arbitrage mutual funds are hybrid in nature and in times of high or persistent volatility, these funds offer relatively risk-free returns to investors. This scheme will invest in equity, arbitrage and debt. Equity savings will invest at least 65 percent of the total assets in stocks and a minimum 10 percent in debt. The scheme would state the minimum hedged and unhedged investments in the scheme information document. 1) By investing in both equities and bond, the balanced fund provides diversification in its truest sense. 2) As these funds invest a sizable amount in equities, the returns received are adequate. 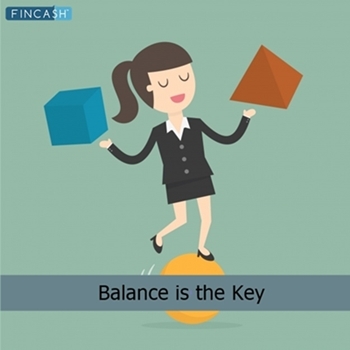 3) Balanced funds provide automatic portfolio balancing, that is highly beneficial when the markets are volatile. So when the markets are high, the fund manager automatically trades equities to maintain its maximum level and vice-versa. Balanced funds are less volatile. They offer the best of both equity and debt funds ensuring higher return through equity component and stability through the debt component. Another benefit of the balanced fund is that they are tax saving. Being equity focused, the investment can be exempted from long-term capital gains tax. Also, when the lock-in period is beyond 3 years, the debt funds provide indexation benefits. That further aids in tax saving. For a conservative investor, a hybrid fund provides a stable portfolio of stocks as well as exposure to fixed income instruments. So, it is a very sensible long-term investment option that ensures a promising capital investment along with providing respectable returns in the later phase of life. ☆☆☆☆☆ Rated 5, based on 2 reviews.